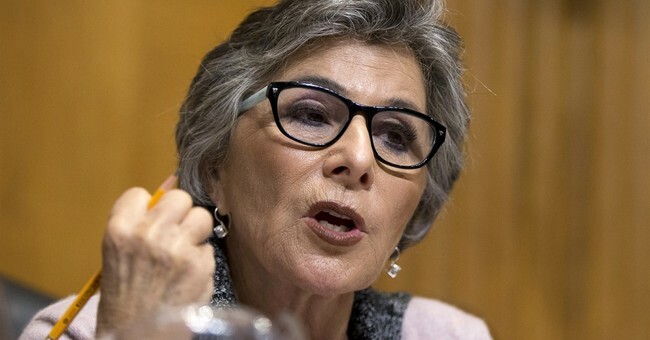 Sen. Barbara Boxer, who once dressed down a Army brigadier general who called her "ma'am," tried to shame a Catholic priest for not agreeing with Pope Francis on matters of climate change, which fall outside the magisterial authority of the Church. The "Rev. Nelson" Boxer was referring to is a Methodist minister (and not a scientist!) who is ideologically aligned with herself on the issue of climate change. First, some basic Catholicism: the pope is not infallible unless he is speaking ex cathedra ("from the chair"), something that has happened exactly twice in the entire history of the Church. (In 1854, when it was formally declared that the Blessed Virgin Mary had been conceived immaculately, without sin; and in 1950, when the Assumption of Mary was formally defined.) When the pope speaks about things outside the Magisterium, they are not infallible and nobody is bound to agree with His Holiness on the matter--including priests. Second, it is patently absurd for a non-Catholic senator to attempt to try and tell a priest what his own church believes. Boxer's comments were incredibly rude, condescending, and unprofessional.